The House is Cre8's main office as well as the hub for the all the Learning Plus one to one sessions that happen during the day. The kitchen is the heart of the House, and is used for teaching young people cooking skills as well as sharing meals and brews together. 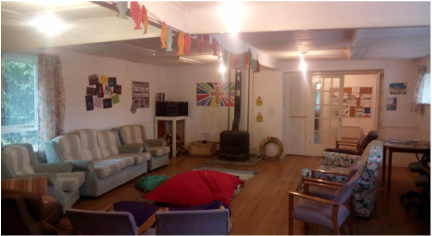 The project room (the living room) has large comfy sofas (kindly donated by Arighi Bianchi) which are good for an afternoon nap as well as sitting round, having a brew and a chat. 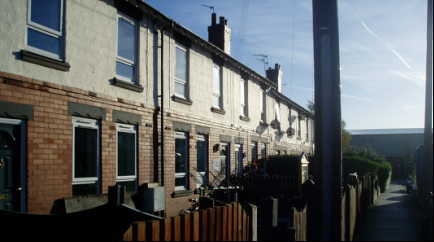 Located at the top of Mayfield Ave, by Mayfy pond, The Building is licensed to Cre8 by PPHT. The Building was previously a derelict community building, and Cre8 has spent many many hours and funds rennovating the space. The rennovation work has involved young people and adults from the local area and the Building can now be used for Cre8 projects as well as hired out for community events. 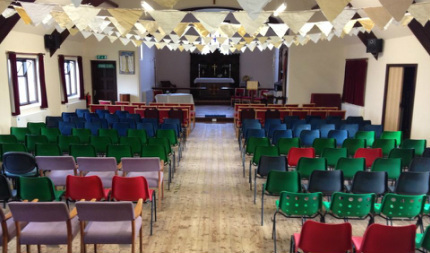 Cre8 is part of the mission of St Barnabas Church on Lyme Avenue and you can read more about that here. Cre8 Clubs run from the Church as well as activities during the school holidays and big events and socials.